Following are some questions we'd like Paul Young, the author of The Shack, to answer. We don't expect any response at all from him. But, these questions need to be asked even if he will ignore them. When I (Matt Slick) interviewed Mr. Young on my radio show, it became apparent that his theological understanding, though pretty decent in some areas, lacked the sufficient clarity to accurately represent God, Christ, the Lord's majesty, salvation, damnation, and more. During the interview he sometimes avoided answering specific and difficult questions. But, I was patient, letting a lot of things go, as I sought to dig deeper into his teachings. As the interview progressed, I offered to help him with his book, to revise it, so that it wouldn't violate scripture. He didn't like that idea. Eventually he cut the radio interview short -- even though I had told him beforehand that I would be asking difficult questions to which he had happily said he liked to answer. I guess he didn't like the toughies. Anyway, here are some of the questions that I hope Mr. Young would answer. Should Christian fiction try to represent God as accurately as possible or is it okay to actually contradict scripture if the intent is to make God seem more palatable to people? In light of your writing in the Shack where you take many liberties with representing the Father, Christ, the Holy Spirit, salvation, etc., what do you do with 1 Cor. 4:6 that says, "Now these things, brethren, I have figuratively applied to myself and Apollos for your sakes, that in us you might learn not to exceed what is written, in order that no one of you might become arrogant in behalf of one against the other." 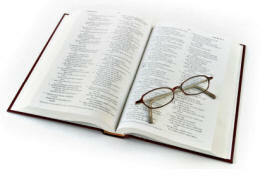 What do you do with the scriptures that teach that the Father cannot be seen (John 6:46; 1 Tim. 6:16) when in your book you have the Father being seen? What was your motivation in presenting God the Father as a woman in light of the scriptures where God refers to himself in the masculine? Why are you teaching universalism on page 225 of your book when the Bible denies universalism in Matt. 25:46 and Rev. 4:11? Do you think that it is okay to help people using a fiction book, that makes them feel good about God, even if the book contradicts specific verses in the Bible? What is your response to the several books and articles written in response to the liberal, New Age Teaching found in your book?